30 days wet-aged Certified Angus Rib Eye Steak (230g) from Greater Omaha, U.S.
– Delightfully juicy and tender, seared to your preferred doneness. Receive a free soft drink and scratch card with every purchase of this dish! Stand to win Shaw Premiere Movie Vouchers, Pepper Lunch $50 Vouchers and Premiums. 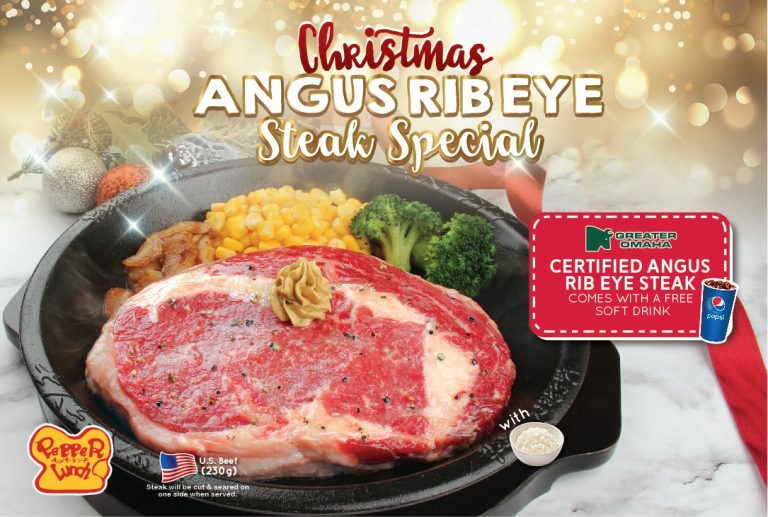 Available at Pepper Lunch Restaurants at $22.90 from 22 November 2018 for a limited period only. Visit them at #B1-01.